Armando Ortiz spent more than four years in prison for a murder he did not commit. During the early morning hours, on January 21, 2002, two masked men dressed in black and carrying guns robbed a convenience store in Reedley, California. They took $30,000 from the store’s safe. The store owner’s daughter was present, attempted to run, and was shot and killed. She was five months pregnant at the time. The robbers took the security video with them. Ortiz was initially brought to the attention of police as a suspect by individuals who may have been seeking to provide information on the murder in exchange for assistance with other criminal issues the individuals were facing. At trial, the mayor of Reedley testified that a month prior to the murder, he had seen Ortiz, 16 years old at the time, with another boy near the convenience store. The mayor admitted that he had viewed the boys for only a few seconds, but he was confident he had seen Ortiz. Neither was any money from the robbery found. Ortiz’s shoes did not match any prints found at the scene. Ortiz testified on his own behalf at trial and maintained his innocence. Ortiz stated he had never been to Reedley. Neither defense counsel nor the prosecutor ever asked Ortiz where he was at the time of the shooting. Defense counsel presented no other witness on Ortiz’s behalf. Ortiz was convicted as an adult and sentenced to life without the possibility of parole. Following Ortiz’s conviction, NCIP took on his case. Investigators discovered that Ortiz’s trial attorney had failed to call nine alibi witnesses, even though the attorney had been told about them. The nine witnesses would have testified that at the time of the murder, Ortiz was 25 miles away attending and then helping to clean up after a birthday party. 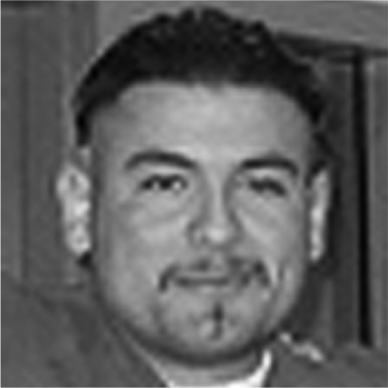 In November 2007, Fresno County Superior Court overturned Ortiz’s conviction and granted him a new trial based on the inadequate defense by his trial lawyer. The prosecution dropped the charges in June 2008.